At International Bath and Tile, we pride ourselves in the strong and personal relationships we create with the brands that fill our showroom. It’s the strength of these partnerships that allows us to show you, our customers, exclusive products from world-class artisans and brands at our showroom locations. 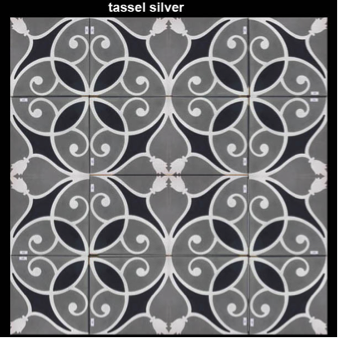 This month, we are thrilled to give you a sneak peak at new products from Ken Mason Tile. 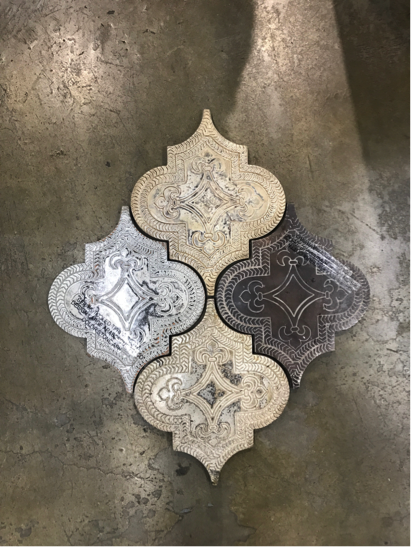 Based out of Long Beach, CA, Ken Mason combines skilled artistry with incredible imagination to bring International Bath and Tile six exclusive lines of their handcrafted product. IBT has been working with the company for well over 30 years and we have come to count on their reliability, diverse artistry, and consistently gorgeous products. We know the beautiful tile we display in our showroom will be what ends up in our customer’s home. Ken Mason’s sales representative stopped by our San Diego showroom to personally introduce us to the new collections, and we are excited to share them with you. 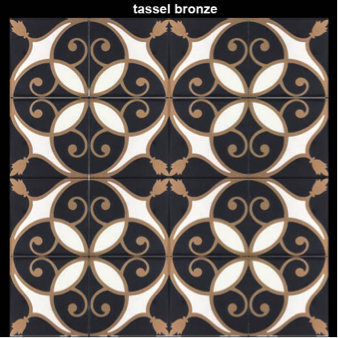 Shown exclusively at IBT San Diego, the Tooled Terracotta is a proprietary design that took four weeks to create. 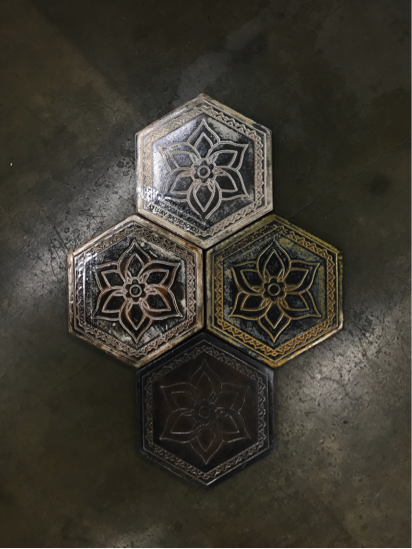 The hexagon “deco” tile is stained in four distinct colors: Stone Ash, Stone Vanilla, Stone Toffee, and Stone Caramel. Finished with a slight metallic shine, there really is nothing quite like it. The tiles will be crafted especially for your project, with an order time of six to eight weeks. The Weathered Brick collection has a cool, distressed look to it. 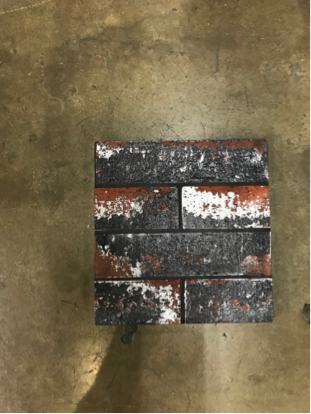 The tiles can be ordered in a true brick red and black, or a myriad of striated shades of white and grays to fit the feel of your indoor or outdoor space. While it has a more industrial look to it, the tile can be used in any style of home. 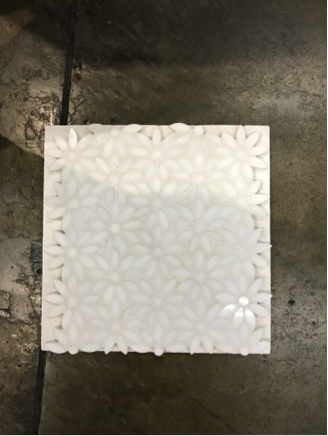 Ken Mason’s sister company, Tile District, created an extraordinary line of stone daisies. Made of stone and cut with a water jet, this collection features the intricate design of delicate daisies. The soft white and gray of the stones give a modern edge to the artistic creation. 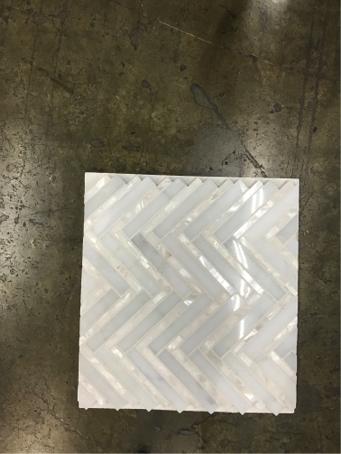 These tiles are handcrafted with soft gray stone and the iridescent gleam of mother of pearl. The neutral color palette and chevron design are a unique combination that can lighten any room. They’re in stock and available to be delivered to your home immediately. 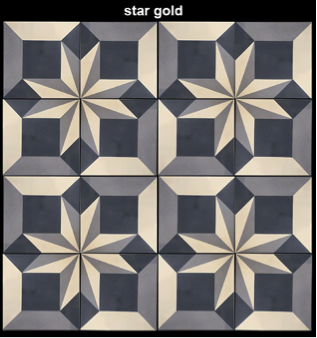 Ken Mason’s Decorative Encaustic Concrete can bring a truly unique look to your home. The line comes in eight patterns: Lenox, Tassel Silver, Juliet Tan, Juliet Black, Star Silver, Dorian Grey, Star Gold, and Dorian Lime. The encaustic cement designs are the brand’s own creations. The artistry and patterns are reminiscent of the detail you’d find in an old Italian church. These tiles are in stock and available to be delivered immediately. From antique and distressed to contemporary and clean, visit our San Diego showroom to get the first look at these exclusive Ken Mason creations! 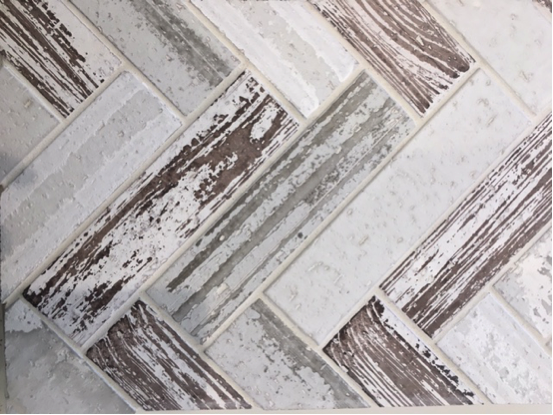 It’s not every day that you get to walk into a bath and tile showroom and have the opportunity to incorporate a preview of exclusive new products into your project planning! Our clients can often benefit from our close relationship with the artist and get personalized advice from our talented team members.